With added padding to palm for increased abrasion and tear resistance. The fingerless arrangement allows for the ultimate control in demanding tasks. 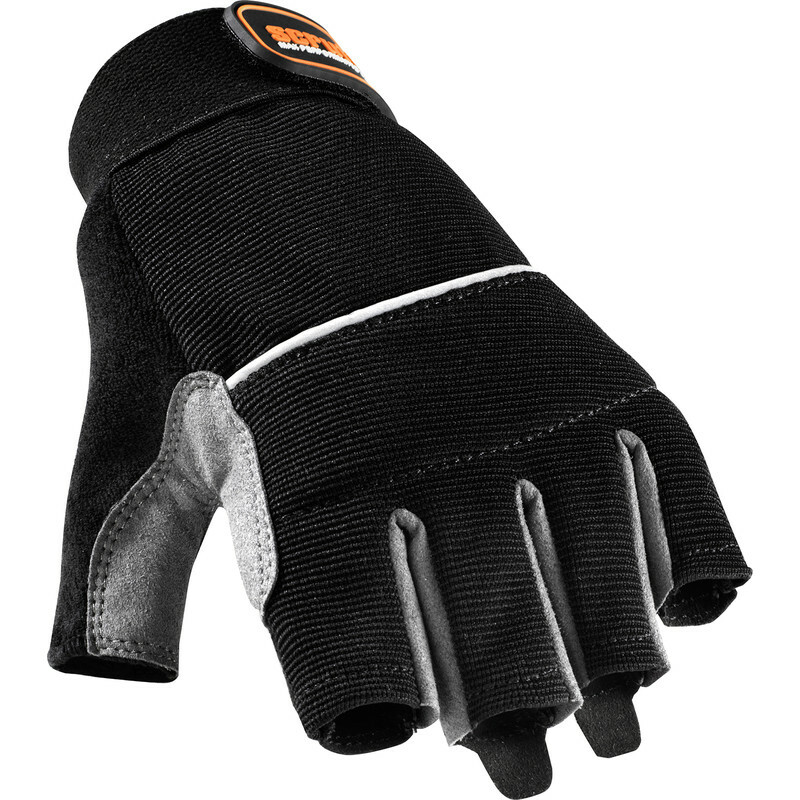 Scruffs Max Performance Fingerless Gloves One Size is rated 5.0 out of 5 by 2. Rated 5 out of 5 by Landrovernut from Work well This is second pair I have bought - first pair have had so much use that they are wearing out. Keep hands warm while still allowing fingertip control. Rated 5 out of 5 by Hawks from Excellent Product Great product, exactly as described.